Property management Charlotte, NC has to tackle several tenant complaints effectively in order to maintain a sterling reputation of the property and minimize vacancies. Property managers need to prioritize on-site customer service for developing better relationship with the community and for minimizing confrontations. Here are some of the common complaints and ways to handle them appropriately. According to the studies, most complaints are about high rental rates, compared to even disturbance reports or maintenance issues. However, tenants are always going to feel that the rent is high, and the way property management responds to this issue can make a major difference. Forming better relationships with tenants and upgrading amenities can help in creating higher value perception amongst tenants. Once tenants are able to appreciate the value provided, the issue of the rent being high may not arise. A property manager can maintain an open door policy, where tenants are able to air their grievances about the rent. The manager can explain how the tenant is able to receive much higher value from the property than the rent he is paying. One of the other major tenant complaints is about maintenance and repairs. Satisfaction of the tenant is directly influenced by response time and the quality of service provided. The best approach would be to maintain regular maintenance schedules, so that no complaints are triggered. For handling maintenance and repair issues, there should be an effective communication system in place, so that the complaint is received by the appropriate staff that is able to handle the issue. The staff should immediately acknowledge the complaint, as that improves the confidence level of the tenant. The system should also enforce accountability to make sure the issue is addressed within a reasonable time. If in-house staff is not available, the maintenance contract should be given to a reputed service provider. It is often challenging to enforce leash laws, and motivate dog owners to clean up after their pets. One way of tackling the problem is to create awareness of possible health hazards that pets can create, and involve the community in being more proactive. The approach should be sympathetic and non-confrontational, but it should also imply to the pet owner that bad practices would not be tolerated. According to a recent study, all tenants are concerned about the visual quality of the property, and in fact play a major role in choosing a property. It is therefore critical to maintain common areas and outdoor spaces in top condition. For residents it is a matter of pride to invite their friends and family to visit them when the property is well maintained. Tenants are happy when they know property management Charlotte NC has taken adequate steps to ensure their safety. Installing security features can significantly help in improving services to tenants. Property managers should also schedule routine inspections for reviewing condition of perimeter fencing, repairing breaches, and broken locks, and providing proper lighting in secluded spots. 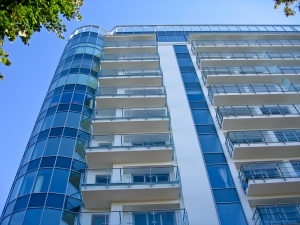 Modern renters mainly look for convenience and good amenities in the property. By providing services like a phone, Internet access, and cable, Gastonia property management can effectively enhance the value and popularity of the property. These services will not only set your property apart from the competition, but will also provide added value to residents. High speed broadband services are now easily accessible at reasonable rates throughout the country. According to NCTA (National Cable and Telecommunications Association) more than 90% residents in the country have access to cable TV programming, broadband Internet access, and cabled telephone service. Hence, most residents will be looking for these services and if they are bundled with the rent, it will be an added advantage. Secondly, there are about 1,100 cable service providers and due to the new FCC regulations for curbing monopolies, these service providers are keen on making bulk retail deals. 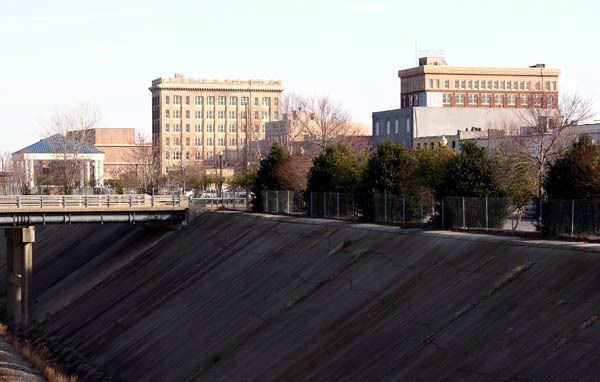 These deals usually carry incentives of 3 to 5% of revenue returns, which works out quite well for Gastonia property management, and the cable service can be made mandatory for all residents. Such an arrangement provides genuine savings for residents as well, since the rates are discounted. The monthly fees will be billed and collected by property manager, which will work out as added bonus for the property owner. The service providers are able to provide discounted rates because they do not have to spend more on advertising and marketing their services. However, before planning a service contract for the whole property or set of properties it is important to collect statistical data about resident preferences and habits. According to certain reports, the number of people owning television sets has gone down. Hence, if most of your tenants are not using television as a medium for entertainment and news, such a deal will be quite unwelcome, since it will increase the rent. People using analog TVs are usually unwilling to upgrade to digital sets, while most cable operators are transitioning to digital services. More residents now prefer internet-based programming, and want the best possible speed. If you are considering Internet package deals, keep in mind the speed expectations. There is usually resistance in changing providers, especially when residents are satisfied with their current service. The term of contract with the service provider will usually span a period of three to five years. Payments for service calls will be the responsibility of tenants. These rates can be up to $75 per call. Once you are sure about the preferences of your tenants, most of them will find it convenient to pay their cable bills with the rent at a discounted rate. If you are not sure, run a survey with your existing tenants and maybe find out what most residents in your area prefer. It all depends on perception, and if Gastonia property management plans to bundle services, provide notice and be ready to discuss things with renters who are hesitating. Finding the right tenants is not an easy task, and administrative resources of property management Charlotte, NC can be stretched thin if an efficient and prudent automated system for the application process is not in place. There are many benefits to automating applications and it can be done at a reasonable cost with the right software. Make sure the software is mobile friendly, and helps the property manager right through the leasing process, starting from marketing ads to the signing of the rental contract. Here are some major advantages of automation. Prospective tenants, sometimes begin obtaining or developing second thoughts, when they have to fill out lengthy application forms manually, and then either scan and email the documents or fax them to the rental office. On the other hand, automated system for applications is much more convenient, and prospect will not feel overwhelmed. For, property management, applications can be received any time of the day or night, even if there is no staff present. Secondly, the application is available for processing to a range of staff, who may not be even working in that area. Property management Charlotte, NC can maintain a centralized control over all properties and distribute the work to the appropriate personnel as well. One of the main advantages of automation is integration of the application process with other relevant procedures. Proficient software will have checks, which will guarantee that important information is not left out and none of the important entries are invalid. A well-integrated system will provide complete management solution where information regarding credit and background checks is also fed in through the application system. An automated application system will not only lower administrative costs dramatically, but also bring down overall costs and improve ROI. Automation means lesser staff and effort is required for receiving and processing the applications. Automated application process will make it much easier for professional team of property management Charlotte, NC to close the best deals quickly. When it is difficult to find tremendous tenants, it becomes very important to close strong deals quickly. When you delay, you are providing time to prospective tenants to reconsider their choice, which is counterproductive and will affect your rental business in the end. When the application form is available online, property management has the opportunity to process the application almost immediately, and take the process to the next level. Even while showing the unit; it is sensible to keep a computer station open of have a computer available, since the prospect can fill in the application right there. One of the major advantages of automation processes is lesser dependence on paper and other physical media. It is much more efficient to run a paperless office, and you will be saving precious natural resources as well. Automation provides many opportunities to lower dependence on paper, which can be extended further by sending contracts and other relevant forms for e-signatures and verifications, rather than sending physical paper forms. Application process automation is just the starting for reducing administrative costs. The process can be integrated into an overall automated process solution, which will bring down costs further and improve profit margins. People looking for a home; usually spend half an hour while going around each property. The prospective tenant would have seen many properties and would already be having a conflict of interest, and will be searching for clues to see if the unit has all that it takes to make it a home. Therefore, the presentation of the unit makes a difference, and there are ways by which property management Charlotte NC can make the property seem more appealing to prospects. §Always use the word home rather than unit, as that is what the prospect is looking for. §To create a welcoming dialogue, smile, and inquire about family, work, hobbies, and so on. §One of the main requisites of a meaningful dialogue is to listen carefully to what the other is saying. For instance, if you have gathered that the couple is childless, it will be counterproductive to highlight property features such as playground and play areas. Secondly, property manager can find connections to what the prospect is saying and present something that is useful or interesting. For example, if the couple reveals altruistic tendencies, the manager can mention charitable organizations in the area that are in search for volunteers. §While showing the unit, make it a point to highlight key features that the prospects might be expecting to find, or something that complements their lifestyle. While positive language and constructive dialogue can work wonders, it is also necessary to stage the unit in a way that will be appealing to prospects. Consider the requirements, expectations, and preferences of the target audience to make an effective staging of the property. For high priced units, it is better to hire a professional consultant who can provides ideas for renovations or specific decorations that would be most appealing to most prospective tenants or for prospects whom you are targeting. The consultant might suggest specific furniture styles, wall colors, and certain kitchen and bathroom features that are expected by certain resident demographics. If the unit is not yet vacant or property management Charlotte NC is considering renovating, it would be best to provide a virtual staging. Professionally rendered digital models of the unit can show prospects what the home will look like when it is fully painted and decorated. The digital presentation could also be made interactive where the prospect can choose the style, colors, and textures. Various models can be staged that will be most appealing for certain groups. For instance, there can be targeted staging for college students, where the unit is shown with computer workstations, stocked bookcases, storage areas, and so on. Hence a well-planned staging of the unit coupled with positive conversation can help property management Charlotte NC attract the right tenants. More than a third of students studying in on-campus degree programs prefer off-campus accommodation. Even though students need to stay within their budget, they are no longer looking for cramped low quality housing. Most students look for quality and convenience and are able to afford a reasonable rent. Student housing holds an outstanding potential for Gastonia property management and even though the students stay for about two to three years, it is easier to get new student tenants, as existing students will recommend the units to their friends. Here are a few tips for building relationships with student tenants. Students need impressive or fair leasing options that can help them plan their finances effectively. Rather offering the regular lease, Gastonia property management should think of rent-by-bed option where it becomes easy to control overcrowding of the unit and for adding another resident in the same unit. Such a system is advantageous for students as well. Not all the student tenants living in a unit need to face eviction, if one of the roommates has violated the lease agreement or is defaulting on the rent. In addition, each student can build reputation based on his or her payment history and actions. Majority of the student population that prefers to live off campus, have no idea where to start, and generally take the help of representative of student housing services. A property manager can cultivate contacts with housing teams, as that will yield a huge source of potential tenants. Secondly, many universities host housing fairs during the fall season. This is an excellent opportunity for Gastonia property management to showcase the property and establish contact with potential student tenants. Allocate certain areas on the property where people can socialize. Open patios, clubhouses, pool areas, or other recreational areas on the property are excellent for students to socialize and invite their friends. However, certain ground rules should be established from the start, so that other tenants on the property are not disturbed. The property manager should also make it a point to organize and attend social events held in such areas regularly. To make units appealing to student tenants and for cutting down on vacancies, select a suitable interior design that is convenient, and one that provides better features such as ample counter space, more cabinets for storage and so on. If you are renting furnished units, select furniture that is appropriate for apartments. Such furniture should be made of durable materials, should be easy to clean and highly functional. 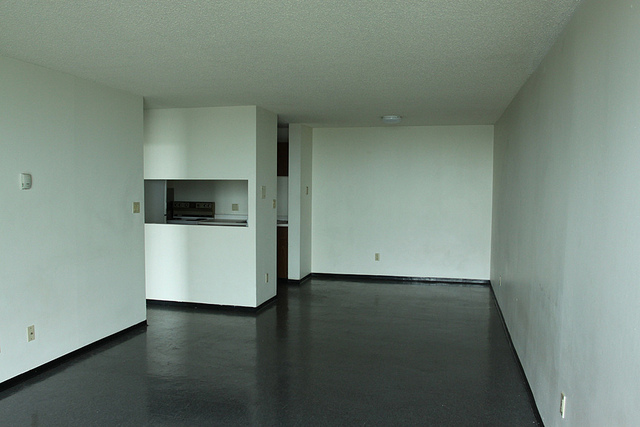 The unit layout is more important to most student tenants, compared to fancy amenities on the property. Being transparent is quite important for developing and maintaining relationship with student tenants. Students, usually look for all-inclusive or bundled rental packages that can help them stretch their budgets. Consistent billing is another vital feature that appeals to students, and if you have a bundled package, make sure to mention the basic rent separately. Property management Charlotte, NC should have a specific plan for reducing repair and maintenance costs, since they are the main expenses that eat into the profits and lower ROI. Here are few tips for forming an effective plan to keep a check on these expenses. The first step for limiting costly repairs and maintenance is to have an effective process for performing background check of prospective tenants. Certain people are quite destructive, and the tenants who cause the most destruction are mostly repeat offenders. Such people habitually keep moving to various properties, damaging living units, and losing their deposit in the process. The best way to find such behavior is to call the property owner or manager, where the person lived previously. Many property managers overlook this aspect when they find the finances and employment of the prospect is secure. This can be a costly and an alarming mistake when the tenant turns out to be messy and destructive. It is a fact that even the best tenants will not care that much for their rental apartment or space, since they do not own them. Even if you are successful in weeding out the destructive prospects, you can expect some careless and messy behavior from tenants that could leave the unit somewhat damaged. You can simply reflect on how a college student would treat his first apartment or a young couple with a couple of children in the unit. This will give you a significant idea as to what you should do to reduce repairs and maintenance. Think of installing products only made from durable materials right from the beginning. However, you should not compromise on the looks of the unit. For instance, a long-lasting reasonably priced carpet is easily replaceable and it enhances the looks of the unit as well. It is better to rely on professional services for certain maintenance and repair tasks, rather than asking the tenant to do such tasks. For instance, for roof repairs or removing fungal infestation hire a professional service, and include such costs in the rent. Experienced property management Charlotte, NC, will know how much such repair and maintenance tasks will pop up in a year, and will form an effective rent structure to cover such expenses. The tenant will not know that he or she is being charged for such services, and property management will be able to hire a professional service to take care of the issue effectively, which will reduce the costs over the long term. Even if you have installed the best appliances of top brands, they will eventually have issues and you need to repair them. Cost of appliance repair can be a huge expense, even if it is a small property, and getting professional repair service may not be easy within a reasonable time. Hence, it is always better to have a contract with an appliance repair company that will insure various appliances, against repairs. This way you not only are able to complete the repairs on time, but also lower the overall repair costs over time. According to consumer trends and expert studies, 2014 holds marvelous potential for property owners and property managers. To develop an effective marketing strategy for the property, it is important to consider effective responses to trends and capitalize on tenant requirements. Here are a few important trends and forecasts for this year, and the best way to include them in your marketing plan. Tenants are always looking to engage more with property managers or owners, and this is now possible with least investment of time and effort, by providing digital platform for interaction. Most tenants also, find it convenient to engage online with Gastonia property management. For instance, property management can provide digital options for rent payment and a simple online form for tenants to request repairs or maintenance. This will not only result in better relationships with tenants, but also make the workflow process more efficient and less costly. Experts have suggested that for 2014, prospective tenants will fall into mainly two prominent categories, those who are financially secure, and those who are striving to make it. In such an environment, it would not be wise to spend ad dollars on a blanket approach, but rather an advertising campaign that can target the two categories separately. For the top end category, Gastonia property management could include certain property amenities that appeal to such a group. Whereas for newlyweds and graduates who are struggling financially, an ad campaign through social media would be more effective in highlighting saving schemes and special offers. However, all campaigns have to be closely monitored to see if they are producing the expected results. Apart from digital technology, most tenants today are looking for upgraded efficiency that can help them save money on their utility bills. Hence, if the property has older doors and windows, an investment for upgrading them would pay in the long term. There are also many federal and state incentives available to property owners, which can reduce the burden of initial investment for these upgrades. While upgrading, look for products with higher insulation ratings, better protection from UV rays, and eco-friendly materials. Even though electric fueling stations are much less, the demand for electric cars keeps on increasing. This shows that people are willing to pay for better and cleaner products, even though owning traditional products might seem more convenient. The number of hybrid cars on the roads is expected to increase to about 8 million in the next ten years and 2 million more cars that run only on electricity is expected in the same period. Considering that most apartment properties do not have recharging stations, it would be a good strategy to install such stations to entice people who are having or plan to own an electric vehicle. The investment on per-unit stations is not much and property management can definitely find positive ROI by the first couple of years, depending on the rent structure. According to studies, 20% of tenants usually cause 80% of the headaches to the property owner or property manager (not that different than the numbers for criminals and crimes in society as well). The problems can include constant complaining, not paying the rent on time, destructive behavior, and causing problems to other tenants. Hence, a few bad tenants can seriously disrupt endeavors of Gastonia property management to improve business and returns on investments. The only effective solution in keeping such people from becoming tenants is by having a working and comprehensive screening process. How many individuals are planning to stay in the unit? Do you have pets? How many? What are the animals? Are there any smokers in your group? What date do you plan to move into the unit? What is your current income or the income of the co-signer of lease agreement? Have you faced eviction notice or have you been evicted before? These questions can provide a salient idea whether it is worth the time and effort to show the person the property. If the prospect has passed the above pre-screening process, it is time to show the property. It is better to check the ID of the person who turns up, to make sure the same person who has answered your questions has come, and not a friend who is checking out the property for the applicant. Secondly, it is better if the property manager shows the property to the applicant, as it gives a chance to meet the person face-to-face and have a chat, which can reveal many things about the person. Tenant screening has to be elaborate, and it does cost money. However, the advantages of performing a thorough check far outweigh the expenses of having to deal with a problem tenant. Gastonia property management can do the whole process in-house or hire a reliable service to perform this duty.